Hello! Hello! Happy Thursday to you all!!!!! Laurel Beard here today bringing you our next Mix It Up Challenge!!!! Let's mix it up with with Lawn Fawn, shall we?!?!?! Speaking of Lawn Fawn, did you see the adorable United We Flourish Love Ya Bunches that Lawn Fawn created? This exclusive limited-edition stamp and die set was made by Lawn Fawn especially for Ellen Hutson as part of our United We Flourish campaign. It's a limited supply, so get them while supplies last by clicking HERE! Both our guest designer and myself used this new exclusive set in our projects! Before I get on to the amazing project inspiration, let's first congratulate the randomly selected participant from our last Pin-Sights Challenge. 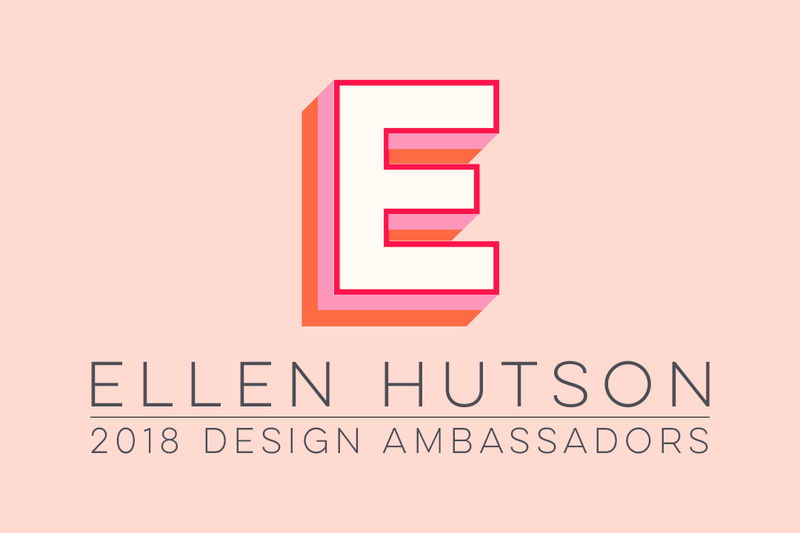 Remember, YOU could win a $50 gift certificate to the Ellen Hutson store just by playing along. Our randomly selected participant (courtesy of random.org) is: Ericka Strange. Congratulations! Please email me at laurelbeard at me dot com to claim your prize! The Mix It Up Challenge is a challenge where we invite one manufacturer to contribute a design that combines both Essentials by Ellen stamps/dies with their product to inspire you all! I am delighted to share the work of Audrey Tokach, designer for Lawn Fawn! All the supplies she used in her project are linked towards the end of this post! I also created a project for this challenge. Inspired also by mermaid week over at the CLASSroom, I thought I would give the little monkeys a mermaid pal to eat bananas with! :) Mermaids like bananas right? Potassium is so good for you, lol. To qualify, simply combine any Essentials by Ellen product and any Lawn Fawn product! You can create anything your heart desires! A card, mixed media art, art journaling, framed art, home decor.... It's totally up to you what you want to make! You have until July 18th to link up your projects! You will find the link up at the end of this post. The winner will be announced on July 20th!